Cruises from China to Australia are surprisingly infrequent. Only a few of these voyages are offered each year. 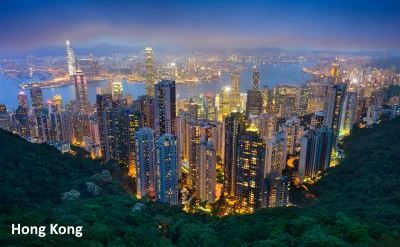 Departures are out of Hong Kong, Shanghai and Beijing. All itineraries end at Sydney. 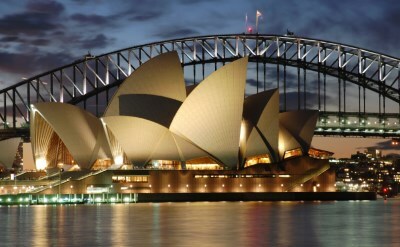 35-day cruise to Australia from China on Oceania. One-way from Beijing to Sydney. Visit Seoul (South Korea), Nagasaki (Japan), Hiroshima (Japan), Kyoto (Japan), Kagoshima (Japan), Manila (Philippines), Boracay Island (Philippines), Borneo (Malaysia), Muara (Brunei), Kuching (Malaysia), Bali (Indonesia), Komodo (Indonesia), Darwin (Australia), Cooktown (Australia), Cairns (Australia), Townsville (Australia) and Brisbane (Australia). • 2018 departure: April 4. 22-day cruise to Australia from China on Princess Cruises. One-way from Shanghai to Sydney. Visit Busan (South Korea), Hong Kong (China), Nha Trang (Vietnam), Ho Chi Minh City (Vietnam), Singapore, Darwin (Australia) and Brisbane (Australia). • 2018 departure: August 24. 19-day cruise to Australia from China on Princess Cruises. One-way from Hong Kong to Sydney. Visit Cai Lan (Vietnam), Nha Trang (Vietnam), Ho Chi Minh City (Vietnam), Bali (Indonesia), Darwin (Australia) and Brisbane (Australia). • 2018 departure: November 1. 23-day cruise to Australia from China on Holland America Line. One-way from Hong Kong to Sydney. Visit Nha Trang (Vietnam), Phu My (Vietnam), Singapore, Java (Indonesia), Bali (Indonesia), Komodo Island (Indonesia), Darwin (Australia), Cairns (Australia) and Mooloolaba (Australia). • 2018 departure: November 4.